Harlequin Presents Series Nov 1985. This is for Harlequin Presents Series novels printed in November 1985. 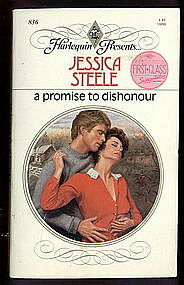 Current novels available is "A Promise to Dishonour" by Jessica Steele in good condition. Postage is $3.00 for the first and combined for additional.